Charades is one of the all-time classic party games, and now we bring it to the iPhone and iPad with a new twist. You can put the things that matter to your family or friends right into the game! 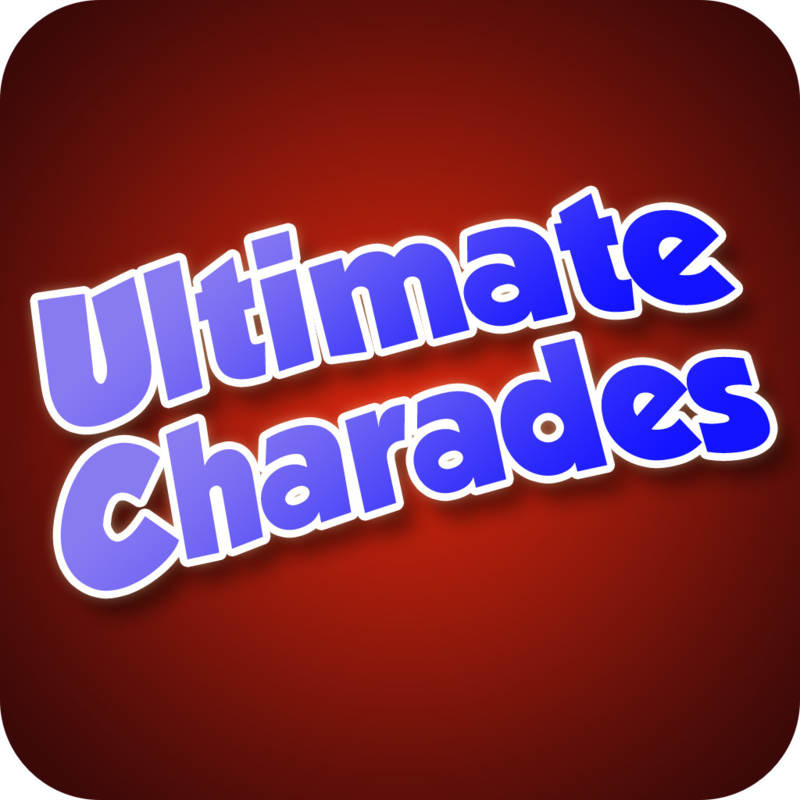 Most charades games come with a fixed set of suggestions, (and “Ultimate Charades” has over 2000 of them waiting for you) but ours can also be customised to add your own favourite people, movies or things and remove any that aren’t familiar to you. No longer do you have to play a game filled with TV Shows or celebrities that aren’t relevant to you and your friends. You can even create a game with its suggestions themed entirely around your favourite artist or a specific topic such as a Science Fiction show or “Teen Vampire Love” series, if you are so inclined. ★ Selection buttons let you choose exactly which categories you want suggestions from. Get suggestions from multiple categories, or just one. ★ Add, edit or delete the suggestions in each category. ★ Categories (which are fixed) are Movies, TV Shows, Songs, Celebrities, Animals, Occupations, Objects, and Famous Phrases. ★ The timer restarts automatically every time you get a new suggestion. One person gets a suggestion then acts it out to the team, who try to guess it. They have until an agreed time to guess the suggestion. Vary it by trying with different categories. The whole team act out the suggestion together, while one person attempts to guess it. He has until an agreed time to guess the suggestion. One person draws the suggestion for the group to guess. You are not allowed to write any actual words on your drawing, but you can use common symbols. Whistle or hum a suggested song, or do your best “pub singer” version of it (with no discernible words) while you team try to guess it within the agreed time, if there is time remaining then the person who guessed the song does the next one until time runs out. To keep it fair, as the “pub singer” variation depends on disguising the song, this works best with one person performing the tune to both teams at once, then they compete against each other for the right answer and total the number guessed at the end. In this game you get two suggestions from the People category, then the teams try to connect one person to another in as few steps as possible. You can use movies they both appeared in, marriages, an actor who appeared in the remake of a movie etc. You can also play this with movies, connecting them using actors, directors, writers, locations etc. Each team in turn has one person do an impression of a suggestion from the “Animal” category, then the other team members try to identify it within the agreed time limit. The person doing the impression cannot say any words, you agree at the start whether it has to be just sounds, or physical movements, or both. You can also play this variation using suggestions from the “People” category. Click on the App Store logo to go to the app page on iTunes, and come join the party. 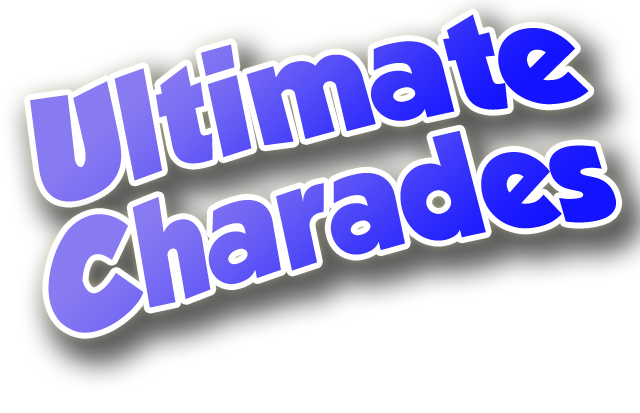 Ultimate Charades with Customisation works with iPhone 6+, 6, 5S, 5c, 5, 4s, 4, 3GS, iPod touch, iPad and iPad mini, and is available now on the App Store.